For some time now I have been in possession of an article that I ripped out and kept from my only weekly magazine purchase, Who, back in February of this year. I don’t normally do this but I was so saddened to read the story, “Simon Gittany Murder Trial. Deadly Obsession” that I felt I had to keep the article as a reminder of what is occurring on a daily basis to women all over Australia. There was a night where I banked upon everything that my ex partner would not have the capacity to take our son’s life in the moments I could run bleeding, beaten beyond words and naked into the street at 5am screaming for help. I was lucky that I banked with the right bank that evening. 15 years after I was raped, I finally let myself call it that. Words by Michael Roddan for The Citizen. They are defining moments in how the law has recognised – and dealt with – domestic violence, and an evolving response to a scourge that accounts for the death of an Australian woman every week on average at the hand of her intimate partner or former partner. I escaped a violent marriage over 25 years ago, after nearly 23 “years of tears” (so named by my children). I’m an Aussie living overseas and was raped by a friend whom I very much trusted. This is Kirstin Whalen’s story. Every week in Australia, a woman is killed by her partner or a previous partner. In fact, intimate partner violence is the top ranking cause of preventable and premature death among women aged 15 to 44. 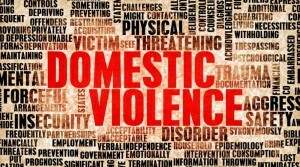 Violence is more likely to kill a woman than smoking and obesity combined, or illicit drugs and alcohol abuse.